Trade shows and fairs present an opportunity to learn from some of the best and brightest minds in your industry. They are also a great place to meet potential suppliers, distributors, and manufacturers for your restaurant, bar, cafe, or hotel. Here are some dates for the biggest upcoming catering and hospitality exhibitions in 2018 and 2019. The Restaurant & Takeaway Innovation Expo is a great avenue to build your brand and grow your business. The event features an impressive lineup of 200 panellists, 500 seminars, and over a thousand exhibitors. Connect with major suppliers and key decision makers in the food and beverage industry. There will be live demos, show exclusives, and panel debates designed to equip you with cutting-edge strategies to boost your restaurant’s profits. Attendance to the event is completely free. One of the leading industry events for those owning, operating, and working in the food and hospitality sectors, The Restaurant Show is a must-attend event for suppliers and business owners alike. Returning for its 30th year, this exhibition is bringing together 500 of the best manufacturers, retailers, and wholesalers in the hospitality industry. The Restaurant Show will showcase a vast array of exhibitors, from food to front of house to business services. The 7th annual Independent Hotel Show is the premier business event for luxury and boutique hotels in the UK. Every year, thousands of hotel owners, managers, decision makers, manufacturers, and suppliers come together to discuss innovations and trends in the hotel sector. This fair provides buyers with easy access to high-quality supplies and products, as well as avenues to learn more about their trade. This year, there are over 20 free seminars and workshops, as well as 300 exhibitors in the luxury, boutique, and independent hotel supply chain. This biennial expo returns after a majorly successful showcase in 2017. The Great Hospitality show is one of the largest national exhibits for foodservice, providing the ultimate platform for networking. Exhibitors come from the food, drink, catering, interior, and tableware industries. The event aims to showcase a broad range of trends and talents in the hospitality sector. There are two concurrent events under the Great Hospitality Show: The Professional Kitchen Show for catering equipment, dealers, designers, and manufacturers; and The Foodservice Show, which features the best products and services from the food and beverage industry. The Casual Dining Show is the UK’s only trade show entirely dedicated to the casual dining industry. Catering to branded chain and independent restaurants around Britain (and beyond), there are over 200 hand-picked quality suppliers and exhibitors from the food and beverage sectors. You can learn cutting edge technology and tools of the trade at either of the two theatres hosting free panels and seminars. Scotland’s most anticipated food trade event is coming back in 2019. ScotHot is the nation’s premier food, drink, tourism and hospitality showcase is on its 46th year and boasts 200+ exhibitors that sell everything you could need under one roof. It’s the perfect platform to find innovative products for food, drinks, interiors, tableware, and equipment. Learn about the latest developments and trends and engage with over 7,000 industry decision-makers. IFE is the largest and most respected annual food and beverage trade event. It brings together an international community of suppliers, distributors, manufacturers, and entrepreneurs in London, the home of food and drink innovation. It’s a must-attend event for trade visitors, who can get updates on revolutionary trends in the catering and hospitality sectors. There will be over 1,350 suppliers and manufacturers from over 55 countries exhibiting at the event, which draws in around 30,000 visitors every year. The event has partnered with two other events for four days of jam-packed activities and workshops. Pro2Pac, the UK’s only processing and packaging event, as well as sustainability event Waste Works, are co-presenting next year. Cake sales and coffee mornings in aid of charity have become a really popular way to raise funds for a cause close to your heart. 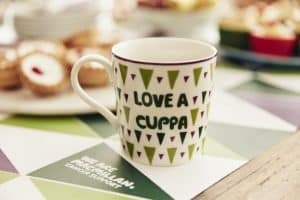 Just look at events like Macmillan’s World’s Biggest Coffee Morning, Maggie’s bake sales, or The Big Tea Cosy for Breast Cancer Haven. Everyone loves cake and cookies, and we challenge you to find us a Brit who can turn down a good cup of tea. It’s no wonder that so many of us are happy to get involved in a coffee or cake sale to raise money for those in need. Who’s going to help out? You’ll want people to help bake cakes, and people who are happy to turn up and act as hosts, cashiers, and clean up staff. Bonus points if you can find bakers who’ll produce you some specialist items like gluten-free or vegan-friendly items. You can never have too many hands on deck, so get asking as soon as you can before diaries fill up. Once you’ve got an idea of who’s staffing the event, choose a venue to run your event from. Maximise your potential by choosing a location with plenty of passing people, on a day where plenty of potential customers will be passing by. An ideal time and place would be a sunny Saturday on the high street, perhaps when a big event like a carnival or concert has brought plenty of people to town. With your venue and helpers organised, it’s time to let the world know. Put up posters around the local neighbourhood, leave leaflets in local businesses, and get on to as many social media pages as you can to let people know all about your event. You’ll be bringing cake, tea and coffee, and maybe your kettles, but think about customers. Some customers may want to buy items to take away with them, so make sure you’re set up for that by bringing in cake boxes, paper cones or disposable cups. Naturally, you’ll want to raise lots of money, but you also want to tempt buyers with pocket-friendly prices. Discuss your pricing with your volunteers so that everyone’s agreed on what to charge, and if you’re feeling organised, produce some price labels or cards to place by the items for sale. If you’re working on an honesty box system, make sure your donation jar is prominently displayed, and secure. Get in touch with local businesses and tell them about your event. Not only might they be happy to display a poster for you, they may be able to donate supplies or match supporter donations. If you’re looking to take your fundraising to the next level, Banksford can print your charity logo or message on to aprons or uniforms, to really show your dedication to the cause. Get in touch with Banksford today, and discuss your requirements. We wish you lots of luck with your fundraising! The reduction of single-use plastic is all over the news at the moment. The government want us all to take steps to reduce the amount of plastic items we use once, and throw away into landfill, never to be seen again. Various ideas have been publicised, such as deposit schemes were returning a plastic drink bottle would give the consumer a small refund, and the bag for life scheme which is popular in our supermarkets. However, all of these incentives are intended for the domestic customer, and not a lot of information for those of us in hospitality has made the news. What’s on the cards for the catering industry and what can we do to increase our eco-friendly credentials? In the world of hospitality, single-use plastics are everywhere. Fast food and fast lifestyles rely on plastic cutlery, polystyrene plates, drinking straws and plastic coffee shop cups to keep customers moving. We can’t suddenly demand that everyone stand in our shops until they’ve finished their entire latte or sandwich, but neither can we afford to provide each customer with bone china to take away. The sad fact is that One Poll’s market research shows that 74% of takeaway customers don’t even use the single-use plastic items which they’re given, they get chucked straight in the bin. What a waste of your money! Perhaps one of the biggest offenders is the NHS. A Freedom of Information request discovered that they get through 120 million plastic cups every year. By their own admission, while plastic cups are sometimes the only sanitary option, there are plenty of places where a traditional stoneware alternative would be perfectly acceptable. Two NHS trusts have implemented the use of china crockery, which is a slow start, but shows that they’re willing to change. Can we all make the same commitment? You may have heard of a scheme popular in coffee shops, giving customers a discount for bringing in their own reusable cup and offering a discount to those who do. 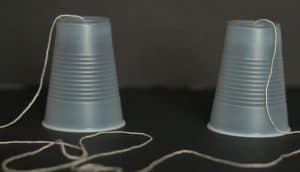 While this clearly wouldn’t work in a fine dining restaurant, it’s a popular scheme with coffee shops who would normally be providing cups which would otherwise be condemned to landfill by the end of the day, it might be one way those of us involved in quick eats could implement the change. The eco-friendly alternative products which have started to emerge are well worth investigating. You can now get biodegradable items which look and behave just like plastic but are actually made from an earth-friendly alternative. Companies such as Biopac supply “plastic” cups which can be composted, because they’re actually made of biodegradable cornstarch, which will break down completely when it’s served its purpose. The same starch-based material can be used to make “plastic” cutlery, and with no difference in performance, these plant-based products will go a long way to getting rid of single-use plastic items. As purchasers, there are steps we can take to encourage change higher up. Next time you’re ordering for your business, ask your supplier if they’d take back unwanted packaging for recycling, or would they be willing to provide your order in reusable containers such as wooden crates rather than plastic wraps. If they won’t, find out why, or take your business to someone who will. If you’re interested in making your catering business a more sustainable one, there are several organisations which can help. The Sustainable Restaurant Association started in 2010 and works with its members to bring down waste and increase sustainability, there’s plenty of advice on the website of the Nationwide Caterers’ Association and the British Hospitality Association. One Poll’s research found that 49% of customers would switch to a different caterer if they knew that business wasn’t going to be using single-use plastic items. Can you afford to be one of the businesses which miss out? some of the most popular choices we have for our customers. a practical and hard wearing choice, polyester might pleasantly surprise you. a quality garment which should last you a long time if properly cared for. ensuring that farmers receive a fair wage, and can afford healthcare and eduction for their families. Offering the best of both worlds, polycotton is fabric woven from both polyester and cotton threads. can be dyed into a rainbow of colours, so there’s sure to be a match for your organisation available. Superbandmaster, is crease resistant and suitable for industrial laundry. A premium product like this does naturally come with a premium price tag, but Klopman’s reputation is well deserved. 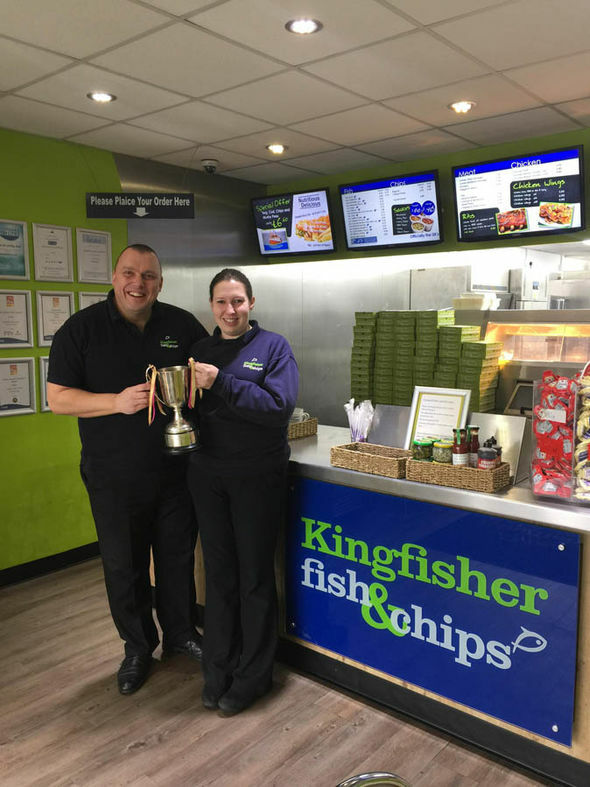 Have you got what it takes to be a champion chippy? There are few things more British than a portion of fish and chips. Of course, they’re a hot topic for debate, as well as a great hot supper. Why did they stop serving them wrapped in newspaper? What makes the best chips? Are any of the modern alternatives as good as traditional cod? Perhaps most importantly – where’s the best chippy? It might be your local, or one you visited on holiday. To help us make our minds up, the annual National Fish & Chip Awards were created 30 years ago. Of course, it’s not all fun and games. For those behind the counter, a nationally recognised award can make a real difference to their business. Previous winners report that staff are more motivated, and PR opportunities arrive in abundance. An uplift in sales as curious new customers come to sample their prize-winning fare could mean the expansion of their business to levels they’d never dreamed of. With 35 sponsors from the catering and hospitality trade, this is a serious competition. Pukka Pies, The Marine Conservation Society and Friar’s Pride make up an eclectic panel of respected organisations well known to those who fry fish for a living. Getting your establishment name known to these organisations is an amazing opportunity for business evolution. 2017’s winners were announced in January this year. With the country divided into 10 regions, the regional finalists for the Independent Takeaway Fish and Chip Shop and the nominees for the 13 other categories came together at the Park Plaza Westminster Bridge Hotel in London, where Kingfisher Fish & Chips from Plympton in Plymouth (www.kingfisherfishandchips.co.uk) won the title of the Best Independent Takeaway Fish and Chip Shop. It was their third year of entry, and owners Nikki Mutton and Craig Maw were thrilled to take home the trophy. Also coming home with national recognition were Harbour Lights from Falmouth, who won Independent Fish and Chip Restaurant, and The Hip Hop Chip Shop from Salford, who won the Best Mobile Fish and Chip Operator Award. If you’re looking to enter for a 2018 award, you need to submit your entry now as entry closes on June 30th for many of the categories, although the full list of closing dates for each category is available here: (Categories). You can enter free of charge online, and two lucky entrants will be selected to take part in a two-day course at KFE’s School of Frying Excellence, which will also include travel and accommodation costs. Think you’ve got what it takes to be the country’s best fish and chip fryer? 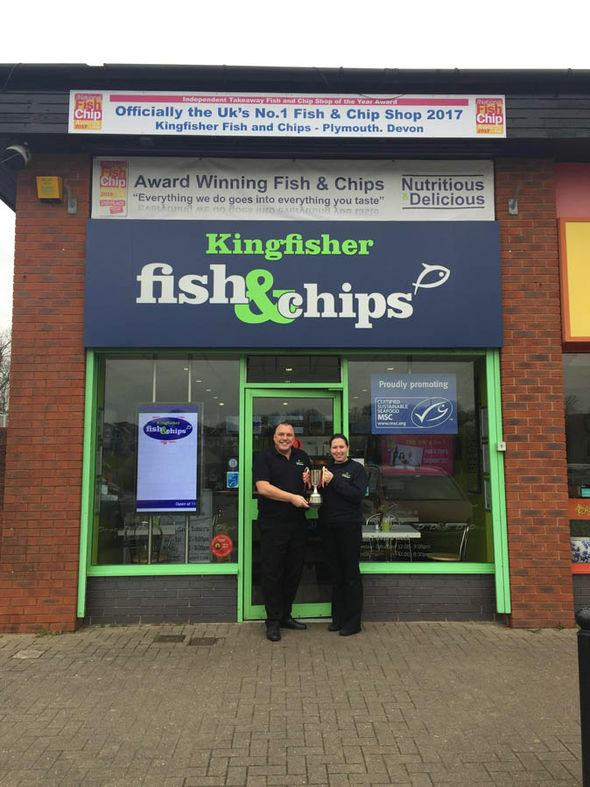 If you’re a fish and chip shop owner, why not enter for 2018’s awards? Banksford will back you all the way, with our superb selection of fish and chip uniforms which are sure to impress the judges just as much as your fish and chips. Celebrate the great British fish and chip supper with the National Fish and Chip awards, and Banksford. Use a uniform, are you eligible? Use a uniform? The tax man may want to pay you! If you’re an employee who uses their own money to pay for work related items or travel, you might be surprised to know that you’re entitled to some money back from HMRC. It’s called Tax Relief For Employees. It’s not open to everyone though, and if your employer pays you expenses, or has provided you with alternative compensation, you don’t qualify. Why is that relevant to our customers? Because if you have to wear a uniform for work – whether that’s a chef’s whites, a simple printed T-shirt with company branding or logos, or a nurse’s dress – you could claim back up to £500 towards the cost of looking after it. If you think you’re eligible, here’s our quick guide however do ensure you seek professional guidance and advice. As long as you paid tax during the same year that the money was spent, you can claim from HMRC. What you get is based on the rate of tax you’re paying. For example, a person who pays 20% tax would be allowed to claim £24 back on a work related spend of £120. Before you claim tax relief, you have to be able to prove that what you’ve spent the money on is not for anything other than business use, and you’ll need to keep records of your spending for four years after the end of the tax year when the money was spent, which is the latest date for making a claim. If you’re claiming for up to £2,500, it’s fairly straightforward. If you use the self-assessment system, just declare it on there. If not, print and post a P87 form to HMRC. As long as you’ve had a validated claim from the previous year, and your expenses come in under £1,000 (£2,500 in the case of subscriptions and professional fees), you can even phone HMRC and complete things verbally with an advisor. You’ll be repaid in the form of an adjusted tax code for the rest of the tax year. Claims over £2,500 must be made through your self-assessment form. You’ll also get relief through an adjusted tax code over one or two tax years and receive a tax return form to complete. How does this work for uniforms? HMRC recognises that a uniform is part of your job, just as much as scissors are for a hairdresser, or a drill might be for a builder, so you can claim tax relief on costs involved in cleaning, replacing or repairing your uniform. While you don’t get tax relief on what it costs you to purchase your work clothing (that’s something different called Capital Allowance), you can make a claim based on what you’ve spent, as long you’ve got receipts, or for a flat rate deduction. These flat rates are fixed amounts, which HMRC sets each year based on what spending they’ve seen from people in different professions. If you’re not one of the occupations on their list, you can claim for a single rate of £60 per year. Claiming a flat rate means you don’t need to keep your receipts, either. Of course you do! There are some fantastic guides on the internet. We’d recommend the easy to understand guide from Moneysaving Expert [http://www.moneysavingexpert.com/reclaim/uniform-tax-rebate]. If it seems daunting to claim, you can even hire the people at Uniform Tax Rebate [https://www.uniformtaxrebate.co.uk] to make a claim on your behalf. Once the forms are in, all you need to do is look forward to receiving your own little windfall, then sit back and thank the people at Banksford for giving you not only top quality branded catering and hospitality uniforms, but a way to get paid for what you’re already doing to look after them in the fantastic condition we provide them in. The information in this article is for general information and is not legal or professional advice. We Brits are a pretty open minded lot. We like our beans on toast and bacon sandwiches, but we’re also happy to try out dinnertime favourites from more exotic locations. Street food, takeaways and the emergence of new and unusual foreign restaurants offering exotic cuisines are bringing exciting offerings to our shores. A study by Cauldron Foods revealed that 60% of the food we eat is not from a traditional British background. In fact, in 2015 the most popular food to make at home, and order from the takeaway, was Chinese. 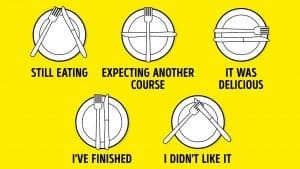 Whether it was made from scratch, a takeaway, or simply cooked as a ready meal, 12% of Brits admit to eating Chinese food at least once a week, with 78% eating at least one Chinese dish in the last 3 months. 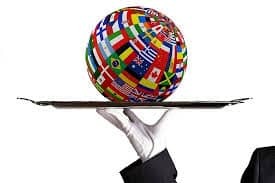 The study by Mintel found that the dishes from the world’s most highly populated country were a big hit in the UK, knocking Indian favourites off the top spot. Soy sauce now sells as well in the UK as traditional condiments like apple and mint sauces. Retailers say that Chinese continues to be a popular choice as it translates so well into the ready meal market. A close second place went to Indian food. 74% of Brits have eaten an Indian meal in the last three months. 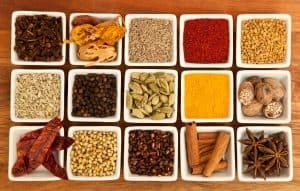 Much loved classics like chicken tikka masala still appear regularly in the top ten, but research shows that people are ditching these old favourites in favour of healthier alternatives. Third place went to Mexican food, with 48% of us enjoying a Mexican dish such as chilli con carne or fajitas in the last three months. With the DIY Mexican dinner kits available in all the supermarkets, a dinner which wouldn’t look out of place in Guadalajara is now a common sight on tables from Grantham to Gateshead. Research and training charity IGD put Italian food not far behind. Forget your spaghetti Bolognese and carbonara sauce, because Italy has moved with the times. Embracing organic, rustic food and incorporating modern trends like veganism and gluten free alternatives, it’s no surprise that it’s a popular choice with diners. Taking fifth place, market research company Kantar put French cuisine in the middle of the league table. Our continental neighbours are close enough to influence our diets, and while we’ve moved on from snails (much to the relief of some! ), you’ll often hear TV chefs making confit of duck or a cheese soufflé, encouraging would-be chefs at home to have a go. 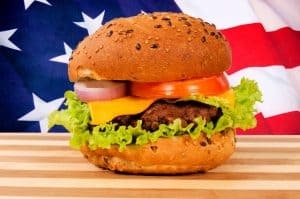 American food has fallen in popularity, perhaps thanks to documentaries like Supersize Me, which dented the American takeaway market. We may have moved on from burgers, but southern states are starting to regain ground, thanks to pulled pork, smoking instead of BBQing, and slow-cooked ribs. Perhaps something we didn’t see coming was the resurgence of Greek food. Wave goodbye to the cheesy tavern image, because a new generation of predominantly independent Greek eateries are landing on our shores. Particularly in the north of England, grabbing a souvlaki, a street food dish of meat inside a wrap, is now just as popular as a burger or burrito. The UK’s first chain of Greek restaurants, “The Real Greek”, launched in London in 2015, and hope for a nationwide rollout during 2016. The Telegraph branded Thai food as “magic”, and in 2015, the UK was home to 2000 Thai restaurants. Not quite on a par with their Chinese cousins – yet, Thai dishes are usually based on combinations of favourite ingredients, such as lime juice, galangal, fish sauce, garlic, lime leaves, rice vinegar and chilli. Accompanied by a Chang beer, you can be sure of an oriental experience. Hoping to make it big, Malaysian and Caribbean foods are predicted to be the rising stars of 2016, thanks to Levi Roots’ “Reggae Reggae Sauce” hitting supermarket shelves and extensive media campaigns, while dishes like beef rendang, which has been wrongly labelled as a Thai dish for years, come into their own. However you choose to eat, it’s clear that Britain has a fantastic culinary heritage, and we’re fast becoming one of the most cosmopolitan and adventurous nations in the world when it comes to our dinner time dishes. Let’s be honest – if we want a night off from cooking dinner, we want to be sure that the food we’re bringing into our homes is from somewhere where staff take as much care as we would over its preparation and cooking. In order to make that happen, any business which prepares food is subject to strict rules and regulations, and this regulation of safety and hygiene is down to the Food Standards Agency in the UK, who carry out unannounced inspections on all companies who make food their business. While there’s no law which states that food handlers must have a formal qualification in food hygiene, it’s becoming more commonplace for employers within the food trade to insist that their workforce do. Some local councils even provide training for food workers. Employees may take a course, study themselves, or just have on the job training – whichever method works best for them, as long as the business owner can prove that their staff have received supervision and instruction. You’re bound to have noticed the food hygiene rating stickers when you’ve visited a shop which sells food. 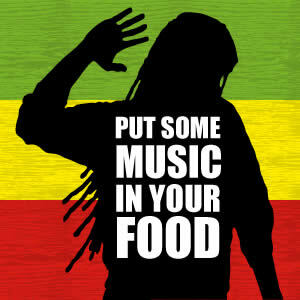 If you sell food directly to the public, the law says that you must display this sticker at all times. Great news if you’ve been rated 5/5, but not so good if you’ve scored 1 or 0! If a customer has been unlucky enough to have suffered food poisoning, it’s likely that the infection will fall into one of the five most common types. 1) Campylobacter, as a result of uncooked or undercooked meat. 2) Salmonella, from contaminated eggs, milk or dairy. 3) Listeria, which can be found in soft cheeses, and is especially dangerous for pregnant women. 4) E.coli, from beef or unpasteurised milk, which can be harmless in small doses, but in larger quantities can cause serious illness. 5) Norovirus, a nasty vomiting bug which can be caught from shellfish such as oysters. So, how can a business reduce the risks? Anyone involved in food preparation will be able to tell you about the 4 Cs of food prep; cleaning, cooking, cross contamination, and chilling. In longer terms, these rules entail keeping work areas hygienically clean, cooking all food thoroughly, avoiding contaminating products with potentially dangerous items (such as using a chopping board for both meat and vegetables), and keeping food chilled to preserve it safely. If you’re a business owner, it really does pay to keep your staff as aware of the health and safety regulations as you are, because you never know when the men from the Food Standards Agency will turn up with a book of window stickers, which could see your business becoming the most popular place in town, or somewhere to avoid like the plague. If you’re looking for branded uniform or catering uniform then we can guide you through our easy ordering process. Our friendly and personal approach to quotes mean you always have contact with an account manager who you can speak to or email at any point during the process. Alternatively if you prefer a more automated process then you can order all your uniform online and we’ll only contact you to confirm your design and let your know your order has been dispatched. possible from you to us in a simple way so that we can cost your potential order and give you an idea of timescale. We are also able to tell you if we can meet any urgent deadlines you may have. Once you’ve completed the quote form and uploaded your logo your information is delivered to one of our experienced sales advisors. We try to respond to all quotes within 3-4 hours, but it can take up to 24 depending on when you submit your quote and the complexity of your order. Your quote will be emailed to you with a full price breakdown and estimated turnaround times. At this point we leave the quote with you and wait for your decision. The proof we supply to you can be amended if you are not happy with it. We want to provide you with clothing that you are happy with, which is why the proofing stage is vital. Once everyone is happy with the proof we move to production. All our garments are personalised in house so that we can ensure the quality of your order. We will give you a guide of when your order will be dispatched and supply you with full tracking information from our couriers. Once your order is complete we keep all your design information on file so it’s simple to reorder at any point in the future. Can you trump the tap, or is bottled best? The average human is around 60% water, so it’s not surprising that we need to drink a lot of it to keep our bodies in tip-top condition. The NHS recommends six to eight glasses of water, or water-containing fluids, per day. Plain water is obviously the most direct route here. It’s up to you how you make that happen, but if you’re looking for plain water, you’ve got two choices – water from the tap, or bottled water. These days, you’ll frequently hear people request tap water when they go out for a meal. As long as the bar is licensed, the law in England, Wales and Scotland says that the tap water should be free. It really is friendlier on the pocket, too. Martin Lewis, from Moneysaving Expert, calculated on his website that for the price of a single litre of bottled water, you could get 100 litres of tap water. Drinking tap water is also better for the environment, with 100g of carbon dioxide being produced for every bottle manufactured. Let’s not go into how that bottle will also take nearly 500 years to decompose when it’s thrown away! Levelling the playing field, you may be curious about the purity of both bottled and tap water. While bottled water may be able to offer you additional nutrients, respected scientist Professor Paul Younger points out that any water used for drinking, be that from the tap or in a bottle, has the same standards to meet. In fact, tap water monitoring is probably more rigidly enforced. The thing is, you really can’t beat the convenience factor of bottled water, which is often sourced from natural springs or hills a million miles from the smokey cities. It’s there, it’s usually available chilled, if you prefer it cooler, and it’s so much easier to pop a bottle of it into your work bag or carry it about. There’s a taste factor to take into account, too. Mains water is processed in different ways across the country, with treatment plants using gasses and chemical compounds to kill off bacteria, so you may find that some tap water has a chemically tang, or an unpleasant aftertaste, especially if you’re used to water from somewhere else in the UK. At least with bottled water, you can usually be happy that it’s received some level of purification which should remove those nasties, leaving you with the pure water you’re so fond of. However you choose to get your H2O, keep those six to eight glasses in mind. You really can’t beat a glass of water for hydrating your body and mind. Try it with a little fizz, or fruit flavouring, and we’re sure you’ll feel the benefits.